Wondering what to do with your surplus of zucchini this summer? 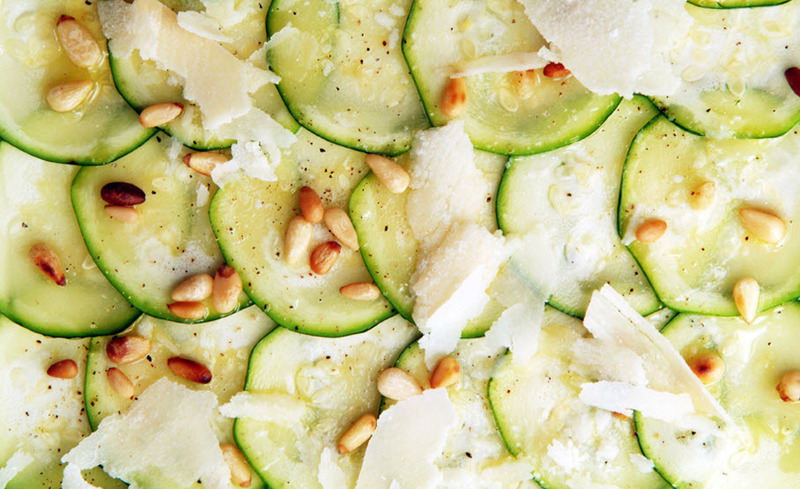 How about zucchini carpaccio? It just happens to be one of the signature dishes at Fig + Olive which has outposts in NYC, LA and Chicago. It sounds fancy, but it’s actually super easy. Plus it’s light and refreshing, which I always prefer on those scorching summer days. Here’s how to make it. Arrange zucchini slices in a pretty pattern. Whisk olive oil and lemon juice together. Drizzle over zucchini. Top with cheese, nuts, and salt & pepper.